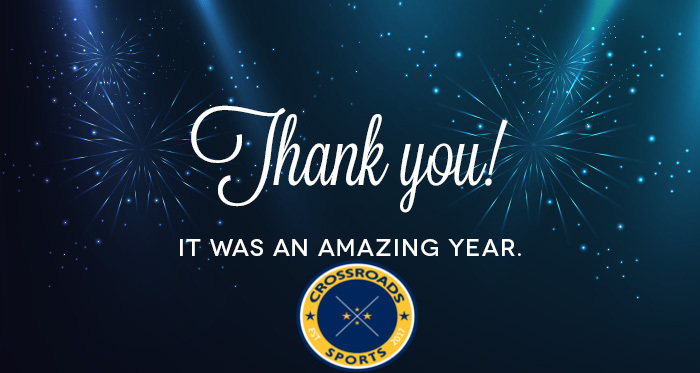 I want to personally thank each one of you for your support in Crossroads Sports in 2018. We have had a great year and brought you several stories, podcasts and radio show over the year and we have added to our staff with Jonathan Birdsong. Thank You, Jonathan for your dedication and personality that you bring to Crossroads Sports Radio. I want to thank our listeners and callers who banter back and forth with us on our podcast/radio shows each week. We love sports and love to bring you sports and a side that isn’t seen and has a focus on the local side. Thank you for every comment, like, share, subscribe, banter to you gave! Thank you for your support during our annual March Madness Selection Show special! Thank you for your kind words and support as we will look forward to bring you the best in sports coverage in 2019! Also, be sure to tune into our first radio show of 2019 tomorrow at 6:30PM as we recap everything from Week 17, Colts playoff run, coaching carousel, and Bowl mania. Please share on Facebook & Twitter!